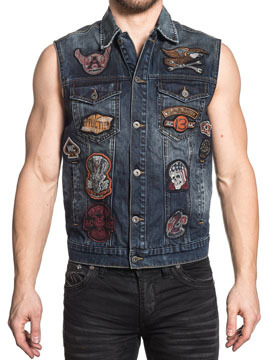 Affliction American Customs Just Right mens sleeveless denim vest features premium denim with two chest pockets and several small Affliction embroidered logo cotton twill, felt and faux leather patches that feature images of eagle, skull, cobra snake, number 13, spade, winged A with mix of prints and satin embroidery sewn across the front. The back features two small Affliction logo patches on one side. 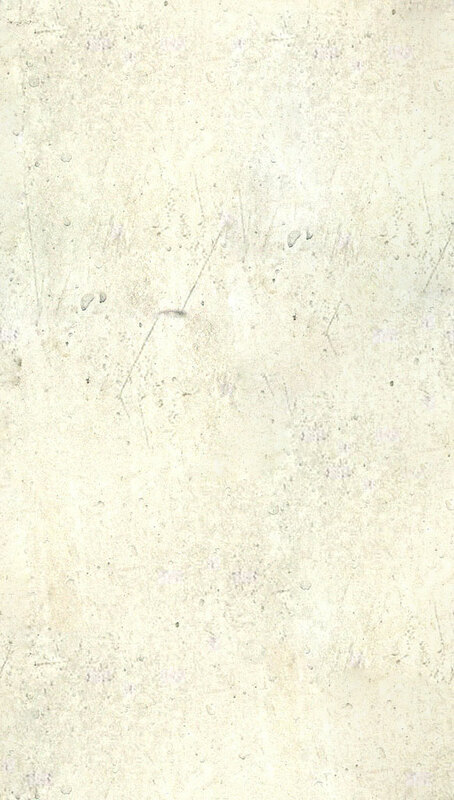 Heavy stone wash gives it a distressed and vintage look. 100% Cotton, Medium weight, Custom Buttons, Column Stitch Embroidery, Custom Hardware, Slim fit. Color: blue.